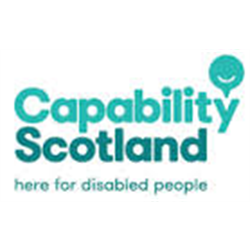 Capability Scotland is ‘here for disabled people’ and provides care and support to disabled people throughout Scotland in a range of community based and residential services. We also provide education and employment services. Stanmore Residential and Respite service, based on the Stanmore House School campus just outside Lanark, has up to 20 young people living and learning with complex health, physical and learning disabilities. We aim to create a positive and supportive environment where young people can develop to achieve their full potential. We have highly skilled care staff and an onsite Allied Health and Nursing team working collaboratively to achieve the best outcomes for young people. We are seeking an innovative registered service manager who will lead the Residential and Respite Service and work with the young people we support, their families, and relevant authorities to deliver a service that enriches the lives of the young people. The manager will report to the Head of Care and Support and will lead a large staff team, supported by Team Leaders, to deliver excellence person-centred support. Strong relationships with all staff across the school campus will be essential to delivering positive outcomes for our pupils. The manager will take a lead role in the development and growth of the service and will be required to prepare, plan and implement operational plans and controls in line with the Care Inspectorate regulatory processes, the SSSC Codes of Practice, National Care Standards and Capability Scotland&apos;s own policies and procedures. A copy of Capability Scotland&apos;s Equality and Diversity Policy is available on the Intranet or upon request from the HR Department. Capability Scotland, Scottish Charity SC011330.